Conservation is key as increased demand puts stress on the electrical grid. Southern California Edison crews stand ready to respond after the National Weather Service warned of a potential record-breaking heat wave with triple-digit temperatures throughout the region through Tuesday. Forecasters predict temperatures will soar to 100 to 112 degrees across Southern California valleys and lower mountain elevations from Sunday through Tuesday. Little relief is expected at night with temperatures ranging from the upper 60s to the 70s on Sunday and Monday. Energy conservation will play an important part in reducing demand on the power grid and will help avoid outages. This year, it is especially important to conserve energy because of the limited availability of natural gas from the SoCalGas Co.’s Aliso Canyon natural gas storage facility. Gas from the facility is used to generate electricity in the region. SCE customers can help by cutting back electricity use from noon-6 p.m. — peak hours of energy use — and by taking efficiency measures like setting thermostats to 78 degrees or higher and turning off lights to lessen strains on power supplies. 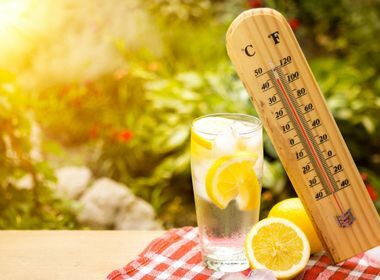 Low-income and medically sensitive customers who don’t have air conditioning or don’t want to run up their electric bill can visit Cooling Centers. Cooling Center locations are available through county 211 websites or by calling 211. Customers who have medical equipment at home should ensure they have sufficient standby battery power or a back-up portable unit to power in-home medical equipment in the event of an outage. SCE is reviewing maintenance outages planned prior to the heat wave. Some will be rescheduled while others may still proceed as scheduled based on a variety of factors, including public safety and the need to avert a more serious outage. 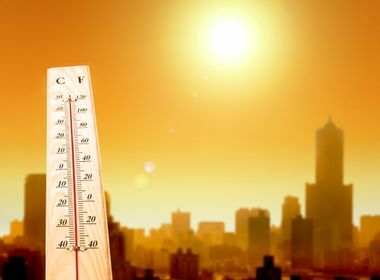 An extended heat wave like the one forecast increases the likelihood of repair outages because when temperatures remain high overnight, electrical equipment gets no time to cool down and recover from the day’s heat. SCE is taking steps to position additional personnel, including restoration and repair crews, across its service territory to respond as quickly and as safely as possible, if needed. This heat wave hits just as a group of natural gas and electric utilities in the greater Los Angeles area, including SCE, joined with the California Independent System Operator, the California Public Utilities Commission and local city governments to launch the Conserve Energy SoCal campaign. The program encourages utility customers to reduce their energy consumption to help avert outages. Operate swimming pool equipment and energy-intensive appliances, such as dishwashers and dryers, during early morning and evening hours.